At KaiNexus, we believe that creating and maintaining a continuous improvement culture in your organization is the best way to make progress. A little better every day means a lot better in the long term. To create and maintain a continuous improvement culture, you need engaged leadership, a consistent methodology, and an enabling technology. Technology that adequately supports the leadership behaviors and methodology you need to start, spread, and sustain improvement is hard to find. It's worth making the investment in a solution that is flexible enough to accommodate your improvement workflow, though, so that it can support you throughout every stage of your improvement journey. Starting an improvement culture can have many pitfalls, so making sure that you get off on the right foot is important. Having a solid technological solution at your disposal is key to making your transition to improvement culture a success. A good software platform gives the insight you need to promote collaboration, facilitate implementation, and standardize the improvement process. An improvement culture is one where everyone participates, which means everyone needs to be on the same page. Continuous improvement software needs to be simple enough that anyone can easily use it, but customizable enough that it can fit into any environment. Improvements can be captured, implemented, measured and shared, all within one platform, keeping everyone involved informed. When everyone is all on the same system and in the loop, less time will be focused on administration and more time can be focused on improvement. Lastly, being able to measure your improvements means that you can quickly find out what works and what doesn’t, which is one of the keys to success in implementing an improvement culture. Once an improvement culture has been rolled out, it needs to spread. The best continuous improvement software is one that can engage and align with staff members by allowing them to collaborate with each other and can share improvements, which allow leaders to keep spreading the culture. Continuous improvement software enables you to engage all of your employees, from front-line staff to managers and senior leaders. 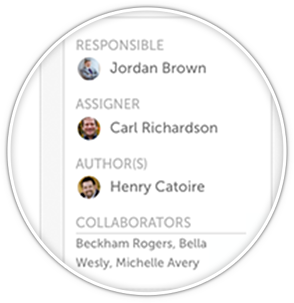 Staff can submit their own daily improvements, as well as be assigned to projects from those managers and leaders. 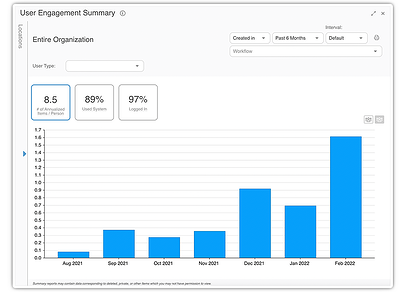 Teams also get benefits from continuous improvement software. Increased communication in one centralized location means that no one gets left out of email threads. Smart notifications update the rest of the team when something new is posted and share metrics and charts of the end result. Lastly, continuous improvement software spreads your improvement culture by enabling you to be a better coach. With multiple indicators to measure progress and keep track of deadlines, you can be sure that no project or improvement ever becomes overdue. The best organizations work to never stop improving. The best continuous improvement software helps you to preserve your history of improvements and projects so that everyone can learn from them long into the future, and so that each improvement has the maximum impact. This type of knowledge sharing also facilitates the adaptation of the standards that will help grow your organization. Your organization has goals and a need for strategic alignment to reach those goals. Continuous improvement software supports those organizational goals. You can track your progress toward these goals, as well as adjust them at any time. Sustaining improvement comes from engagement and consistent, effective communication, all that a good software platform facilitates. Whether you are just starting out or have a thriving improvement culture, continuous improvement software will increase engagement, accelerate your rate of change, and drive a greater impact.